A mini pillow perfect for kids or to use as an accent pillow. 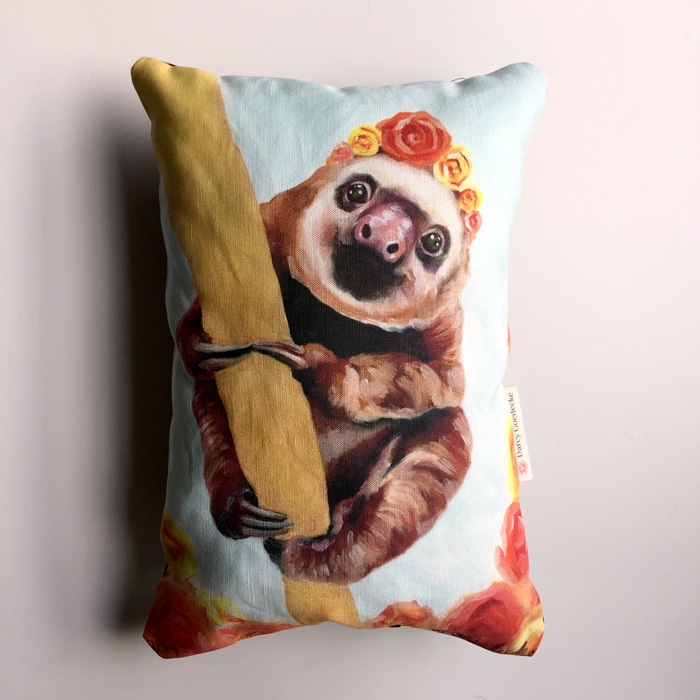 Each pillow is stuffed full with an eco recycled polyfill and sewn shut with accent thread. Backing is chocolate brown. Cover is 100% cotton.